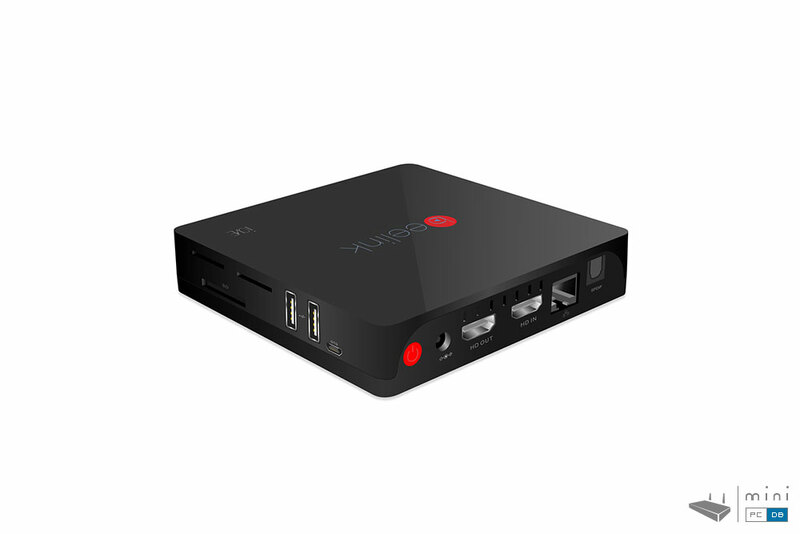 We covered Beelink Mini PC's here on MiniPC DB before, including their Intel Mini PC products. 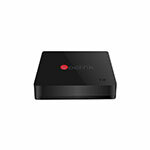 The Chinese company seems to be on a roll, launching now a very interesting Amlogic S812 device with PVR functionality. There seems to be quite a few devices with HDMI-in now, but the others use a slightly less-powerful CPU, so the Beelink iOne could be a very good option for those that want 4K, H.265, HDMI-In recording and a good Kodi support for a good price. Other things worth mentioning: in the marketing materials they mention PiP (picture in Picture) support and there seems to be support for HDCP on HDMI-in as well. 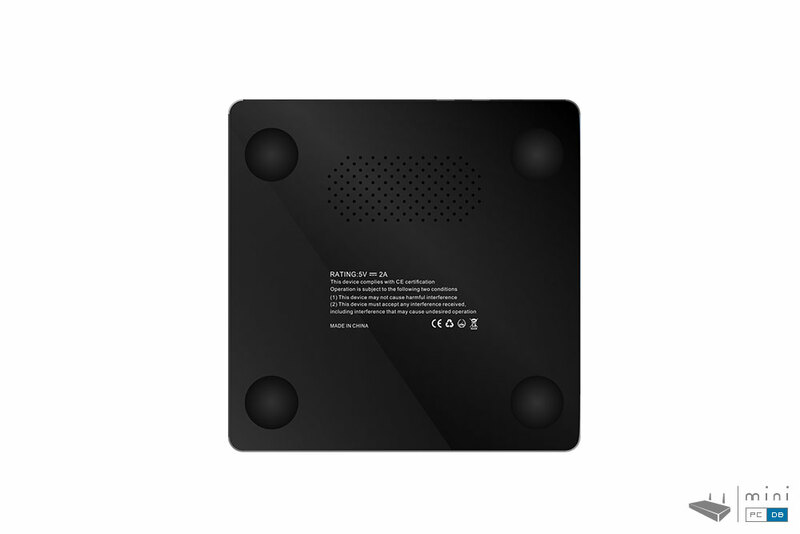 Beelink I One can be purchased from GearBest, DX.com . 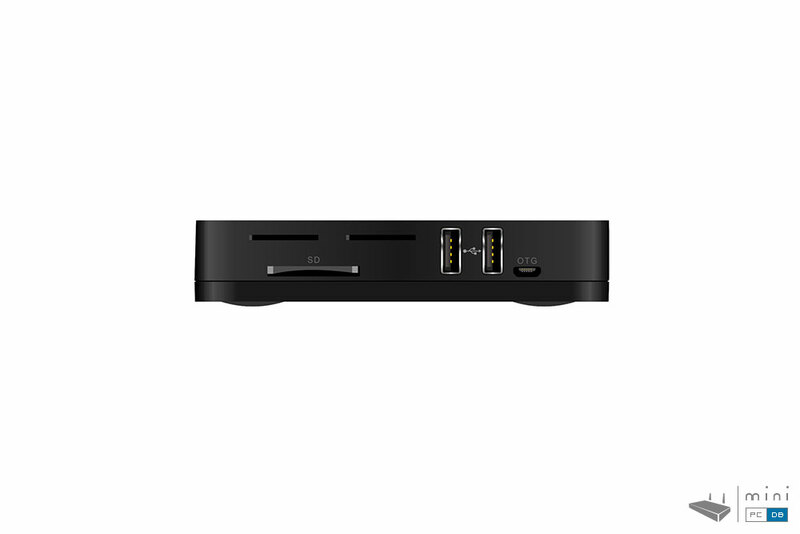 Inside he box you will find the i One Mini PC, which has a nicely polished plastic chassis with the Beelink logo on top, HDMI cable, USB OTG cable, 5V/2.5A power adapter, and a simple IR remote control. 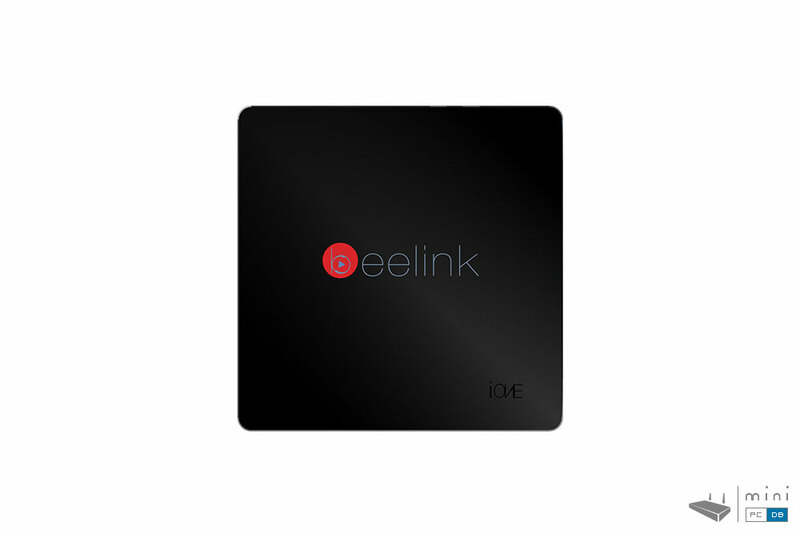 Beelink i One (i826) comes with Android 4.4.2, Amlogic S812 Quad core ARM Cortex-A9r4 @2.0GHz with Mali-450MP6 GPU, it has 2GB DDR3 and 16GB eMMC storage, which you can extends with up to 32GB with an SD card. 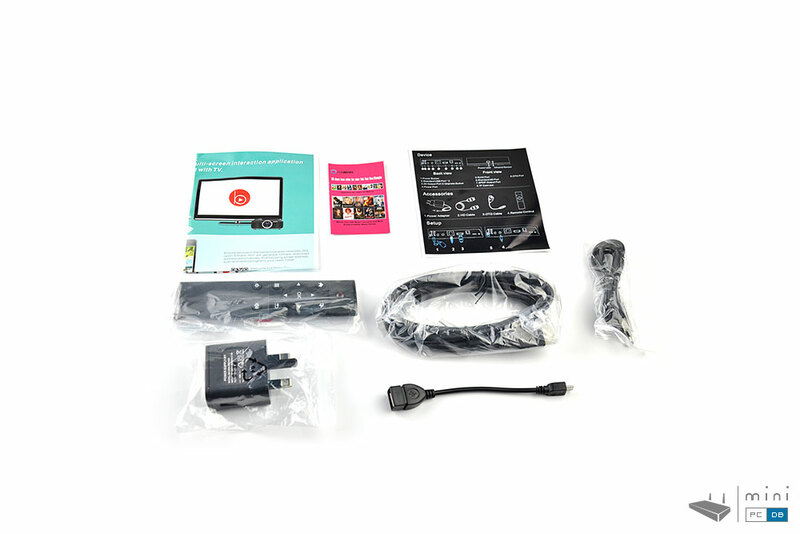 As far as connectivity, the Beelink Mini PC has 10/100M Ethernet, SP-DIF, dual band Wi-Fi 802.11 a/b/g/n, Bluetooth 4.0 and, as mentioned earlier, HDMI In and Out,2 USB 2.0 ports and one micro USB OTG port.